Animal Wildlife | Adelie Penguin | The Adelie penguin is the smallest and most widely distributed species of penguin in the Southern Ocean and is one of only two species of penguin found on the Antarctic mainland (the other being the much larger Emperor penguin). 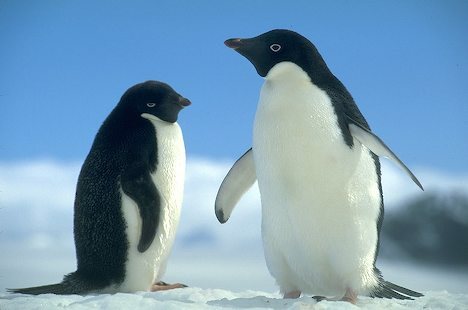 The Adelie penguin was named in 1840 by French explorer Jules Dumont d'Urville who named the penguin for his wife, Adélie. 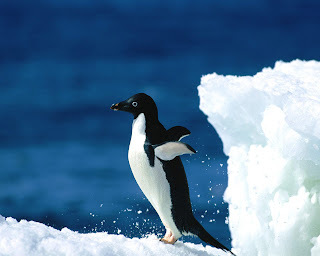 Adelie penguins have adapted well to life in the Antarctic as these migratory birds winter in the northern pack-ice before returning south to the Antarctic coast for the warmer summer months. 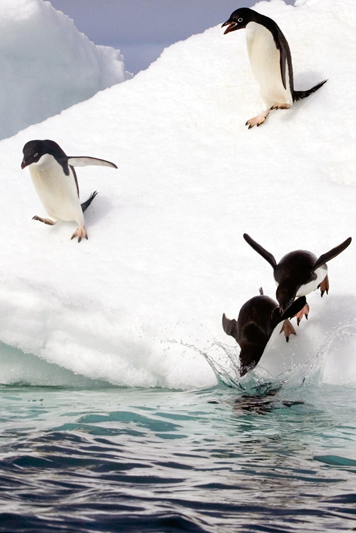 Despite having been confined to living on coastal Antarctica, Adelie penguins are one of the most common and widespread penguins in the southern hemisphere. 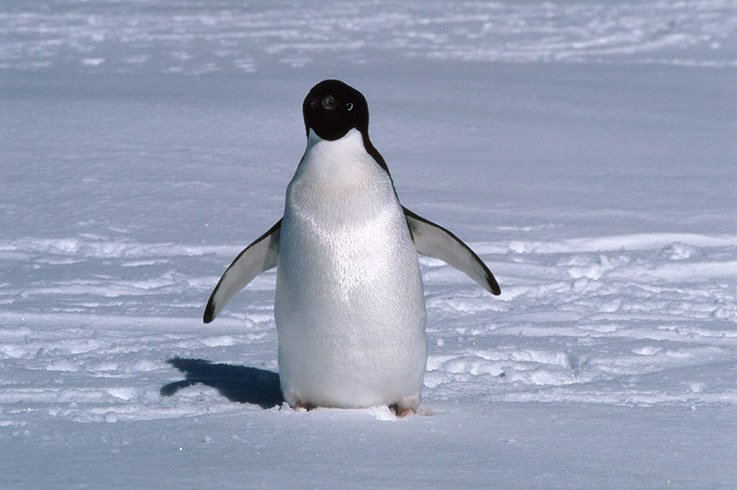 With more than 2.5 million breeding pairs found throughout southern Antarctica, the Adelie penguin has adapted well to it's polar habitat. Scientists have also been known to use Adelie penguin nesting patterns as indicators of climate change, noticing that they are able to nest on beaches that were previously covered in ice. 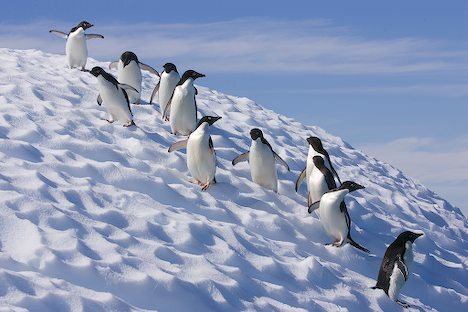 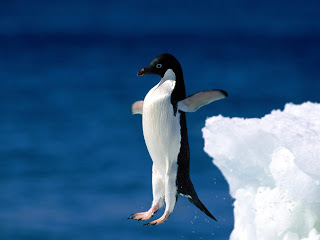 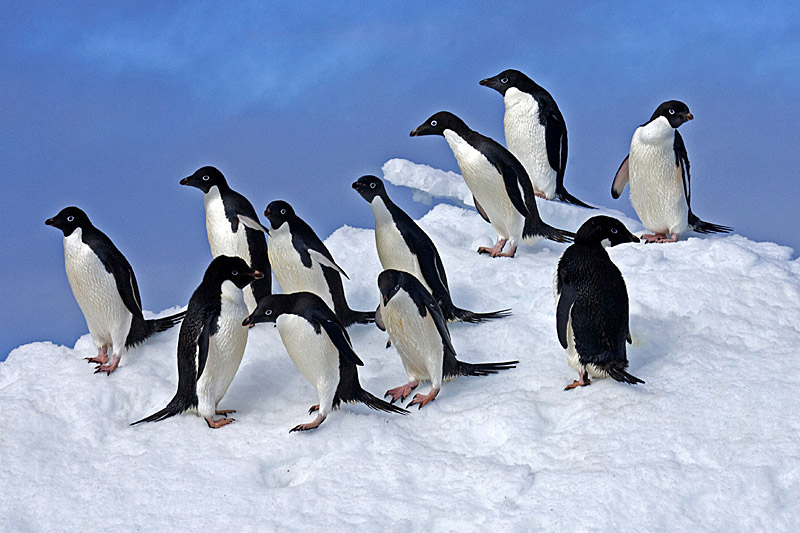 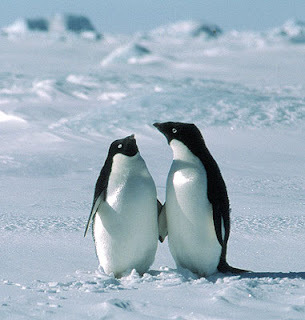 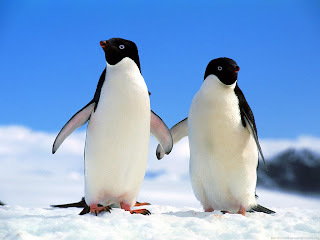 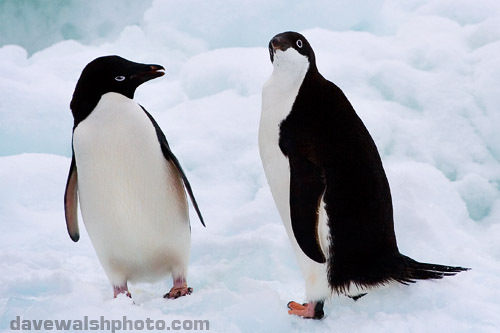 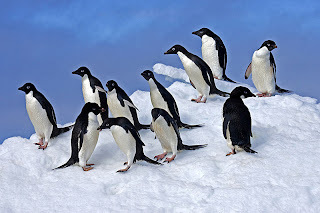 The Adelie penguin is listed as Least Concern. 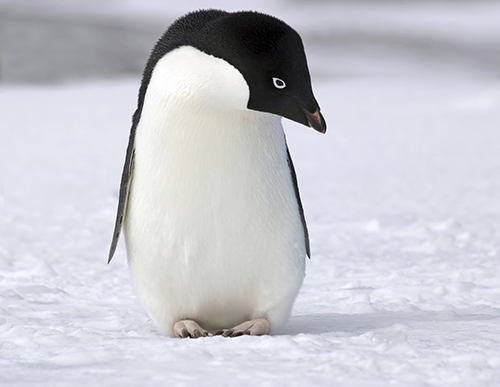 0 Response to "Adelie Penguin"